Beta Alanine (CarnoSyn®) supports the creation of carnosine in muscles, which takes part in the regeneration of the whole organism. It helps insomnia and improves the sleep qaulity. AmixTM PhosphoMatrix - is a special mineral premix, which ensures the supply of important substances into the bloodstream. 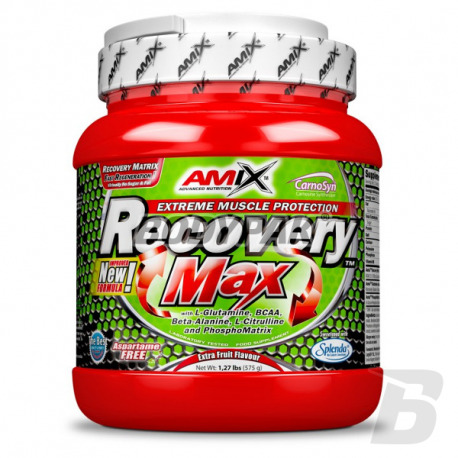 Mix ½ scoop (11,5 g) with 200-300 ml of water and drink immediately after physical performance. To change the flavour and sweetness of drink change the amount of water used for preparation. 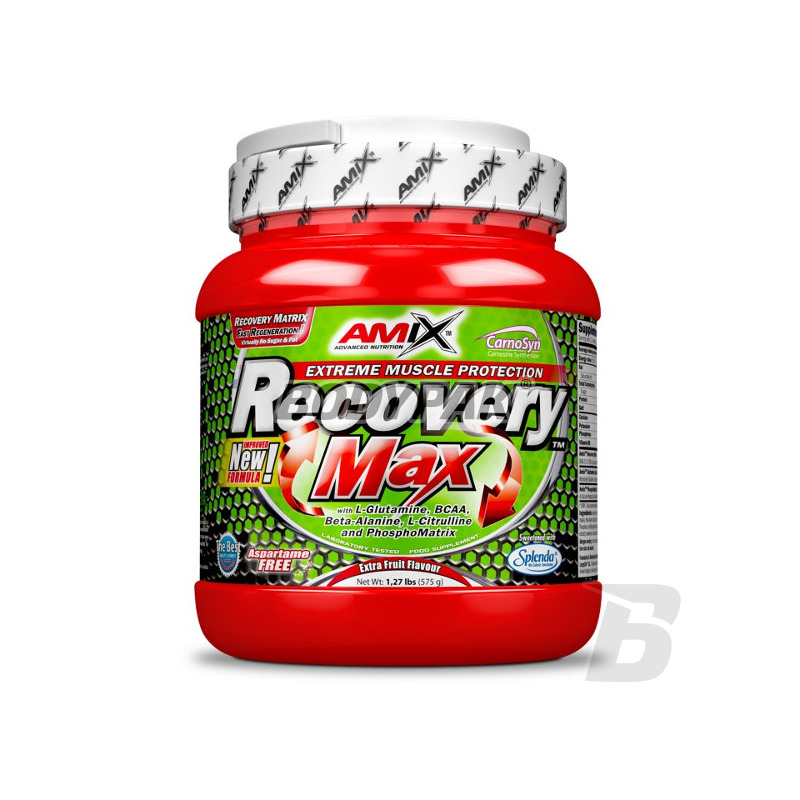 Ingredients: micronized l-glutamine, l-leucine, l-isoleucine, l-valine, l-glutamic acid, n-acetyl l- glutamine, citrulline malate, alanine aloe (CarnoSyn), dicalcium phosphate, Acidity regulator: sodium carbonate, fruit coloring agent, curcumin and beet extract), sweetener (Splenda sucralose, acesulfame K), anti-caking agent (silicon dioxide, pyridoxine HCl), dipotassium phosphate. Czuć szybszą regenerację co daje skutek w postaci lepszych przyrostów masy. Czekam na kolejną dostawę!